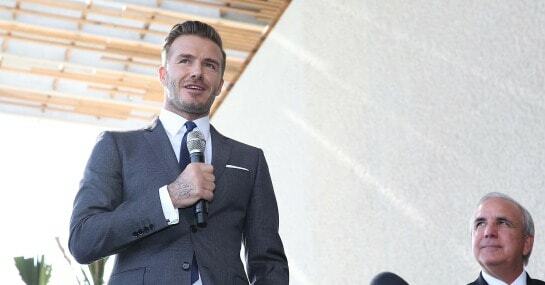 English football’s most papped export, David Beckham, is embarking on an ambitious project to launch his own Major League Soccer franchise in Miami after retiring as a professional player last year. Although no date has yet been set for his new team to be entered into the MLS, Beckham has promised a world class stadium will be built to house it and he confirmed he’d be bringing ‘the best’ footballers to play there. Whether or not this includes the likes of previous MLS imports, such as Kris Boyd, remains to be seen. To mark the big announcement, Ladbrokes have issued a series of special prices surrounding Beckham’s proposed foray into the world of football club ownership. The bookies install Becks at 8/1 to be the team’s manager, and should that lead to success, optimistic punters may want to take a chance on him rising all the way to being England boss one day at 100/1. Meanwhile, Beckham’s new team are chalked up at 25/1 to win the MLS play off in their first season and it’s 10/1 he comes out of retirement and plays for them. At 38, this could be a big ask for Posh Spice’s spouse, though the temptation will surely be pretty intense for the former England skipper, who played for LA Galaxy between 2007-2012. Punters who believe Beckham will use club ownership state side as a springboard for a career in the dug-out can take Ladbrokes up on the 33/1 that he takes charge of an English professional club at some point.